Easton Station and Chargin Dr.
Complimentary parking is available in a public lot in front of the restaurant. Valet parking is also located at the main mall entrance for $5.00. 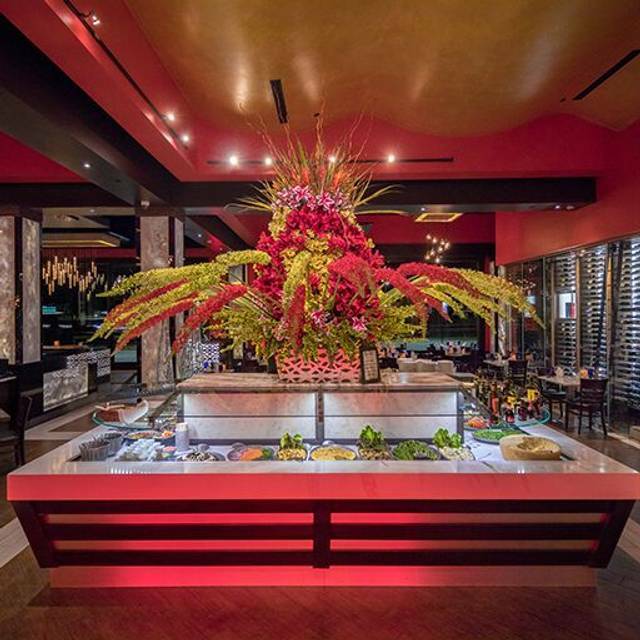 Texas de Brazil Columbus features three private dining rooms. The Rio Room seats up to 10 guests, the Texas Room seats up to 20, and the Brazil Room can accommodate 70 guests comfortable. The options were amazing. Unlimited meat for a fair price. Great service and great food! Loved celebrating our anniversary here! My husband first took me here the meat was over cooked and really salty, so my first impression wasn’t great. I just took my husband there for my second visit and it was AMAZING! the food was cooked perfect and I had a delicious cocktail, Mango Crush I think it was called. Our waiter from the first time was excellent as well as our waitress from the second time. I love the diversity of the staff and the cleanliness of the facility. I would definitely recommend the Columbus, Oh Texas De Brazil!!! Bummed that we couldn't use our awards because it was Easter, but thrilled that we all got free dessert! Service was great! Food was excellent. The atmosphere is moderate. No blaring music, but the sound is of a busy restaurant, because it is such a popular place. The food is always excellent and the service is always good. 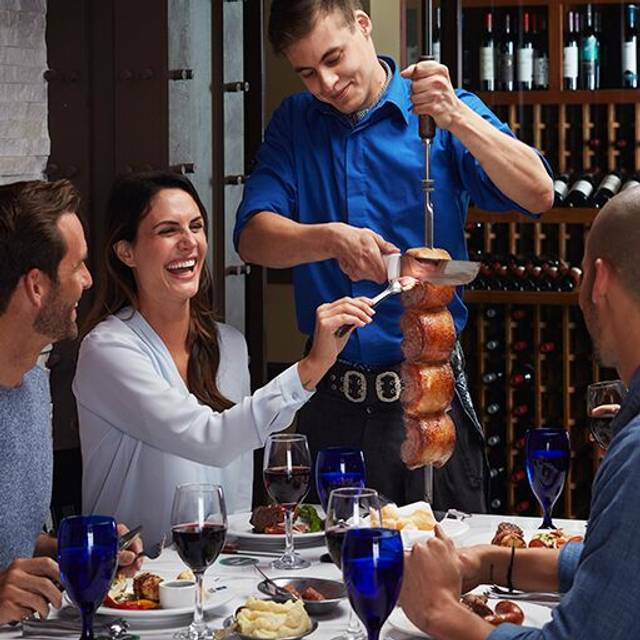 I go many times a year and always recommend Texas De Brazil to friends, family and associates!!! 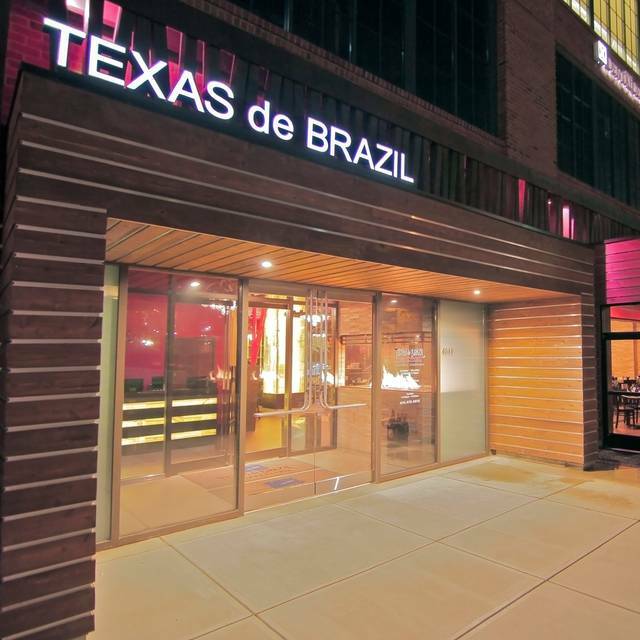 This was my second time dining at Texas De Brazil- My wife's first- I had been planning on bring her for several months. Long- story short- My wife loved it! She said she "felt like a queen" with how great our waitress was and all the selections of meat/ buffet foods. Looking forward to dining again very soon! Servers rarely came by the table with meats. Waitress asked if we wanted something again. I asked for a few different steaks. Nobody came by. Waitress came back about 5 minutes later and asked how was the steak. Told her they hadn't come by yet. Waitress said, "They didn't stop by??" and walked away to talk to them and they finally came over. Even before that we rarely saw the people bring by the skewers. When TDB first opened, we were always asked if we wanted all different cuts of meat. Now we had to have our server send the gauchos over. One gaucho was in our area of only 3 tables and went to one table, and didn't come over to us before leaving our area. Having said that, it is a pricey evening for a buffet. We had a wonderful time and great food. The waitress was very helpful and friendly. The meat serving staff was polite and very prompt to come to our table when we flipped our card to green. Great value , great food. The bacon wrapped cream cheese stuffed jalapeños were phenomenal. Dad had an awesome birthday lunch. Service was fantastic. Someone always around if you need them. Food was good, tasty and fresh. Service disjointed. Although server checked on the table the resolution took very long. The flow was patchy. We were waiting for a long time for the next item to arrive. It does not appear they are short on staff but it does not appear the staff is managed. 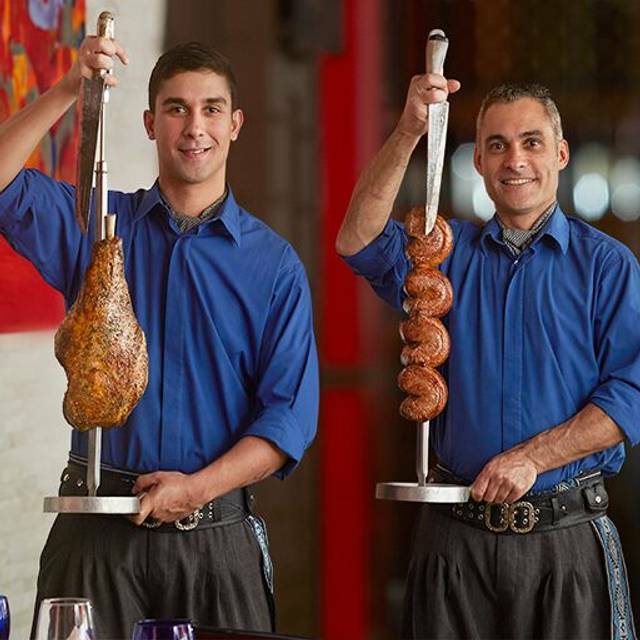 Our experience at Texas de Brazil was just okay. While there was plenty of options for everyone, I was surprised at how little heated options there were at the buffet bar. Most of the items I tried were incredibly over-seasoned, and only a few were worth trying a second time. As far as the staff, our waiter was amazing. He was friendly, knowledgeable, and took each question and concern seriously - even suggesting an off-menu drink combination that I thoroughly enjoyed. Besides our waiter, the staff was honestly sort of a mess. The host seemed nice, but very nervous - I was concerned that he may have been ill. The meat servers were the worst part of the evening. While there were plenty of options, the servers would roughly and inconsiderately push all plates and drinks out of their way. We had 3 different forks and 1 plate fall to the floor because of this. There were no verbal acknowledgments of these incidents from the staff. 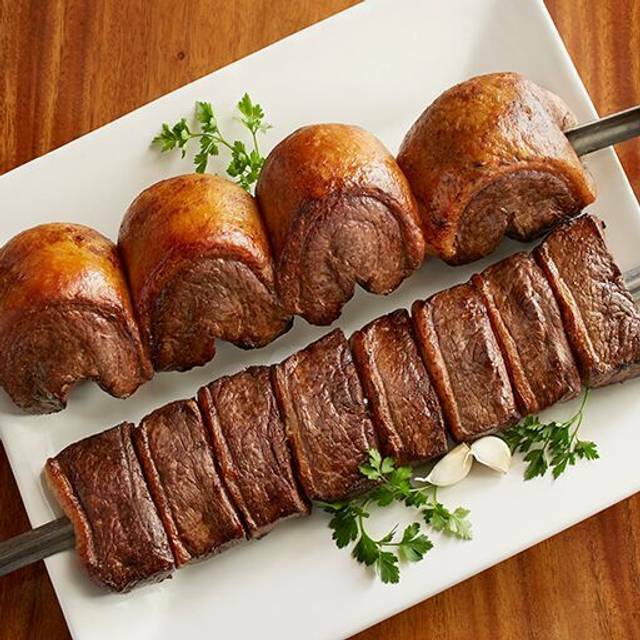 Overall, by the quality of the staff and so-so food, Texas de Brazil is overpriced and underwhelming. Went at 5pm, only ones in there for half an hour, felt like we reserved the whole restaurant. The waitress was great and a good time was had by all. I really enjoyed everything I tried with the exception of the pineapple. Everything was so fresh and delicious. The carvers seem to be very proud of their meats and cut more than I could eat every time, but still a enjoyable experience. The sangria was the perfect, I may go there in the future just for that. Highly recommend. Was a good choice for a special occasion! Fun concept.great buffet.I dont think it was quite worth the big pricetag. Service poor. I bussed my own table. Tired of looking at dirty dishes. Best server by far - Anthony! Amazing food and place! Sunday lunch was not busy and wonderful!!! 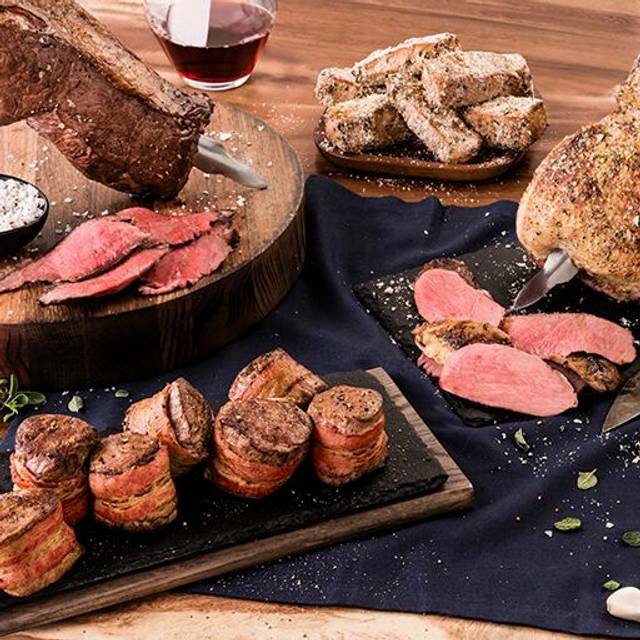 Excellent for meat lovers and a special occasion. We celebrated two birthdays. It was a lovely experience, delicious food, and great service. Celebrated my sons 21st with a couple friends and family. Great experience and he especially enjoyed it. Unique experience and great for those with a hearty appetite. The salad bar was especially amazing for our non-meat eater who sat through our longer stay. Our server,Adam, did a great job making sure we were getting plenty of attention and getting the cuts we wanted to try. No holding back, plenty of food and never felt rushed. Be selective- we had several cuts before our favorites showed up, but again Adam was great when we requested specific items. Highlights for us, bacon wrapped filet, sirloin, lamb chops, shrimp and bacon wrapped poppers. Finished with amazing selection of deserts and complimentary for our birthday boy. All In all, great experience - no one left hungry. My main server (Anthony) was excellent. The meat servers were also good. Always a good meal. This visit the service was exceptional. Overall everything was good. Children's price needs revisited. Very disappointed with the children's cost especially with the amount of food that my children ate. Also, noticed a couple of items that never made it to our table that our group was interested in. Waitress was great. It's very good food. Would be nice to have more American staples as sides and price is a little high. Would definitely do again just not more than a couple times a year do to cost. We had 9 in our party with one in a wheelchair and they accommodated us nicely. They asked if we were celebrating any special occasions and we indicated 3 birthdays; but, aside from the waitress saying "Happy Birthday", nothing else was offered. Not sure why we were asked then as most restaurants at least offer something extra for such occasions. 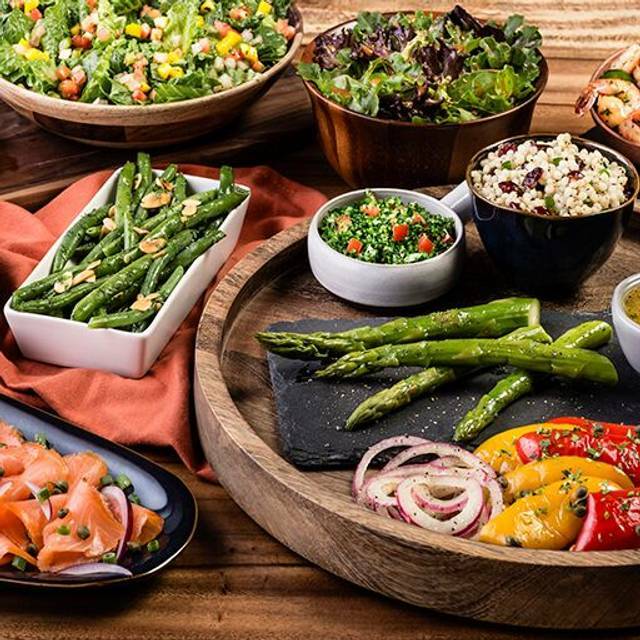 The salad bar is quite extensive with many special food items. The crab bisque was wonderful. The gauchos were almost continuous coming to our table with their meats; so, we never really had to turn our tokens to the green side. It is expensive; but, truly a unique experience worth the trip. We went for my birthday and everything was fantastic. Brady always makes us feel welcome. Food was very delicious. Great food. Great for a birthday! The service was fantastic. The food hot and fresh. The variety was amazing. I wish you would bring the shrimp back to the salad bar. Not a fan of the smoked salmon you replaced the shrimp with. Others share the same opinion. Great experience. It is pricey, but worth it. Definately not worth $45.00 a person for meal and $9.00 deserts and $3.00 for each sprite you drink!!!! Great time. Great food I felt like I was on vacation eating. The salad bar is out of this world way to much to try everything. But everything I tried was wonderful. The garlic mash potatoes were awesome the fried bananas were perfect for cleansing the pallet. The meat was out of the world and it just kept coming I tried so many wow. If you go away from this place hungry you are a very picky eater. We went for my husbands birthday. We were seated next to a very large party that was getting amazing service and we had to let our sever know no one had come out to bring meat. He said “how could I possibly know, I have several tables!” Not the kind of response you would expect. After about an hour they started bringing out meat but even then we didn’t get all of the meat that is offered. The people that were with us were first time guests and will never return because of the experience. We have been several times but our last visit will keep us from returning. Such a disappointing night, that was supposed to have been a celebration. 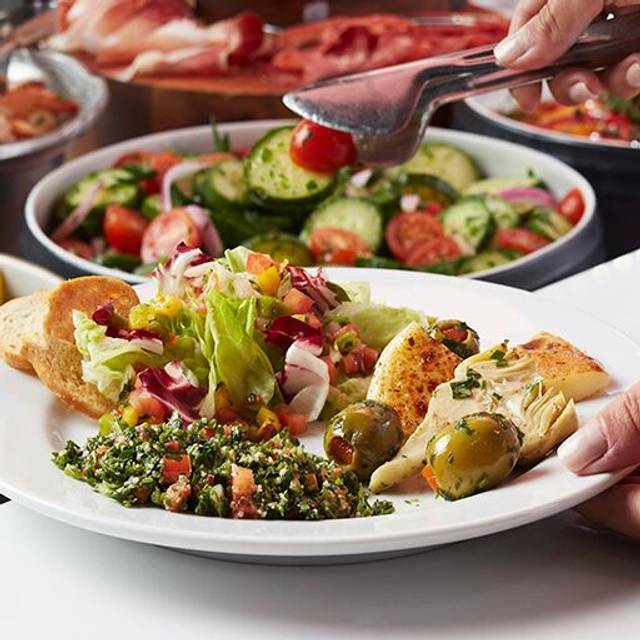 The food is great - there are so many tables ina small space itnis difficult to walk back and forth to the salad bar. Service wasn’t good - meat servers had to be asked repeatedly to come to front of dining space. We enjoyed ourselves very much. Our only issue would be since we were seated in the middle of the restaurant the gouchos seemed to go along the outside perimeter more often than not. My son and boyfriend wanted sausage and shrimp but no one ever came to the table, by the time they came back around, they were out of food. We have been here several times and really enjoy it,but this was my son and grandson's first time. Was kinda disappointed. The host & our waitress were amazing & the food was great as usual (there is no better salad bar as far as quality & selection go!) The manager came over to greet us & was very hospitable. The only small criticism we had was that the servers with the meat selections would not always come to our table even though they had plenty of food left and we had the green sign up that we were ready for more. Once we asked one of the servers to send some of the other gentleman over they did start coming more regularly. Our server was great! Food....not so much. Dry bacon wrapped chicken. Dry parmesan pork. Inedible. And then, we had to ask our server twice to have the men bring us some meat to our table. It was odd. We watched as they circled our table. Walked along tables all around us. Then they came to our table. So, that worked out. Took too long to get any meat however. We didn't want anymore salad bar food. One of those guys appeared to dislike his job very much. We noticed him yet oh well. He wasn't living with us. Then, he tossed a piece of meat on my plate. Really. It was odd. We hadn't even said anything impolite or rude to him. Nothing warranted tossing that darn piece of meat. With all the wonderful places to eat in Columbus, we will not be going back to that location. 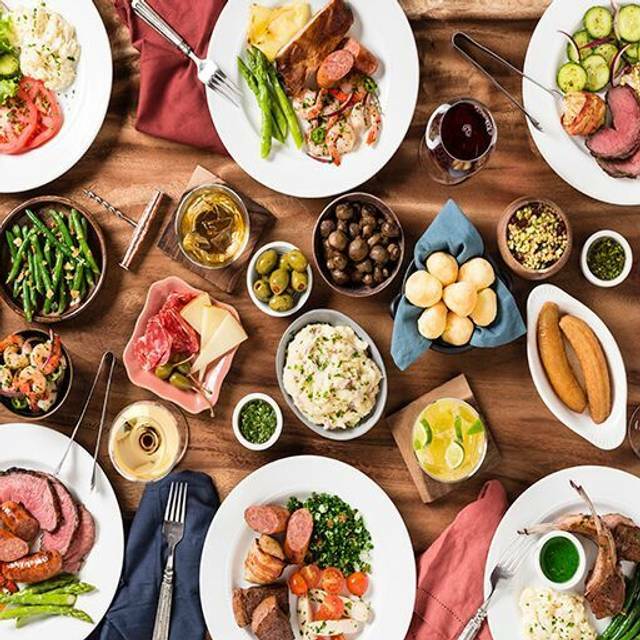 The food was amazing, all kinds of meats are offered from a flank steak all the way to lamb leg and lamb chops, the salad bar offers a huge variety of food as well. Overall its worth the price, and i will definitely be back!